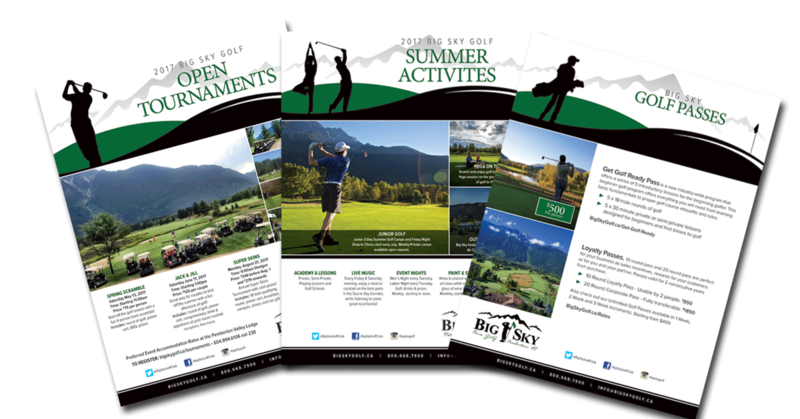 The Web Advisors are extremely proud to call Big Sky Golf Club one of our great ongoing partners. When we first started our relationship with Big Sky, our staff worked closely with their on-site team to determine where they were in relation to their competitors through an Online Audit. From the results of our audit, both teams determined the best course of action was to pursue Search Engine Optimization, Social Media and Google My Business Local optimizations, develop a new Email Marketing platform, and through all this, tie in a refreshed brand appearance. 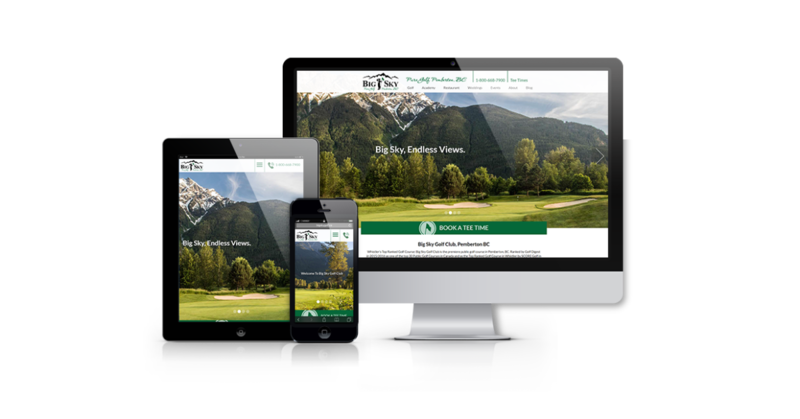 Most recently, we worked to develop one of our top performing golf specific websites with a focus on driving online tee time bookings and growing event leads for their popular wedding business and corporate functions. We have also worked with Big Sky to produce numerous flat sheets, trade show banners and other advertising and promotional items, all with the aim of presenting a consistently stunning brand to the world.